I wrote about Metropolis a few weeks ago, which I thoroughly enjoyed and highly recommend to any moviegoers. It’s the high point of German expressionist films that often rank as some of the best stuff the movie industry has ever produced. Fritz Lang is one of the most masterful directors of all time, and his work must have surely inspired many. Lang, strangely enough, did not like Metropolis, which has greatly boggled me. This is perhaps due to its popularity among Nazis, which is rather strange as the film appears to be anti-authoritarian. 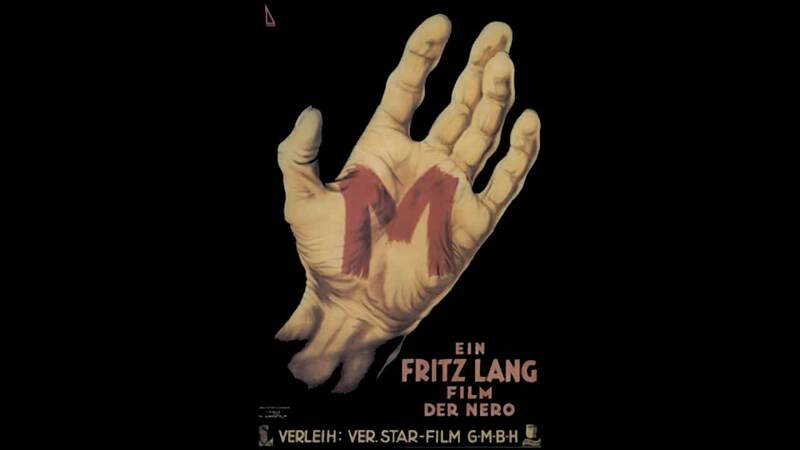 Lang’s favorite film he made is M, which represents the transition from German expressionism to talkies in the movie business. M retains many elements of a silent film. The actors give great big expressions that shout out their emotions and many parts of the movie contain no sound. There’s no music played either throughout the film, unless you count someone whistling “In the Hall of the Mountain King,” which becomes the overtone of the film. But on to the movie! M is a mystery-crime noir picture that came 20 years before the genre became popular (it was made in 1931). The movie is about a series of child murders, which Inspector Karl Lohmann (Otto Wernicke) and his team of police officers try to solve. Meanwhile in the underworld, the mob bosses are trying to catch the killer, as his killings have increased police activity on crime. The first half of the film is a little slow and lackluster. However, once we meet the killer, Hans Beckert (Peter Lorre), the movie becomes faster and quicker paced. Soon, it becomes a race between the police and the mob to catch Beckert, and the final ten minutes create one of the finest court scenes ever in a film. I liked Metropolis more than M though, but still highly recommend the film. It is certainly one for any rising film students to go, and is a very serious film. It takes great patience to watch it, but it’s rewarding in the end. The film is a classic, and I highly recommend it to aspiring filmmakers to. If you like it, I also recommend Metropolis and Nosferutu. Thanks for commenting. I did watch part of Metropolis and thought it was pretty impressive for its time. Though I don’t have a source for this, I have heard (and completely understand) that Lang’s disownment of METROPOLIS is based on his total disbelief in the premise of the film — “the heart must mediate the hand and the head.” While it is a visually impressive piece of work with some pretty astonishing moments, it holds no candle to M. As you pointed out, it’s importance is based solidly in its position as a primitive “talkie.” The first 10 minutes of the film hold some of the most mobile and nimble employments of sound from that entire period. It really is a marvelous film. You’re welcome. I do like M a lot, and even though I think Metropolis is better, M may be the one of the best detective movies ever. It’s brilliantly shot and terrifically written, and Fritz is one of the greatest directors of all time. Absolutely adore this film. Peter Lorre plays the part just so well, even if he wasn’t already kind of creepy to look at. He remains one of the creepiest and most menacing villains I’ve ever seen, next to Jack Nicholson’s character in The Shining and Alex in A Clockwork Orange. M is a great movie overall, and I greatly adore it too.